Are you sentimental and want to remember your child’s early years? Do you want to preserve these precious memories for when they’re older? Our children grow up way too fast. You blink and they’re off to college. With a memory book, you can look back on all the good times, when they were just babies. Let’s find out what a baby memory book is and what to consider when buying one. We’ve also included some of our favorites you can choose from. Use the links above to check the latest prices or read our in-depth baby memory book reviews below. Your little bundle of joy soon grows up and it’s easy to forget moments that made you smile. A baby memory book can record them as they happen, so you can reflect on them in years to come. You can journal and take notes, plus document milestones with photos. 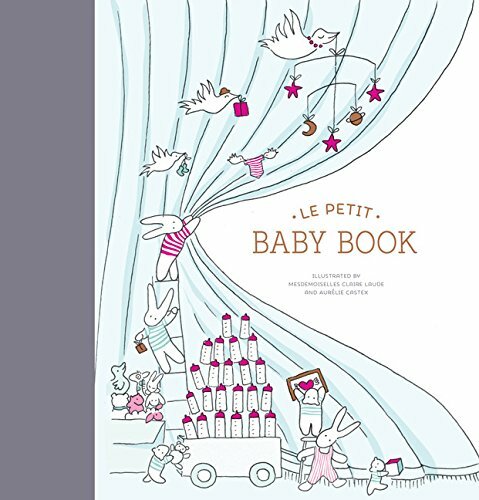 This makes a fantastic baby memory book that you and your child will love. It also makes a fun baby shower gift. 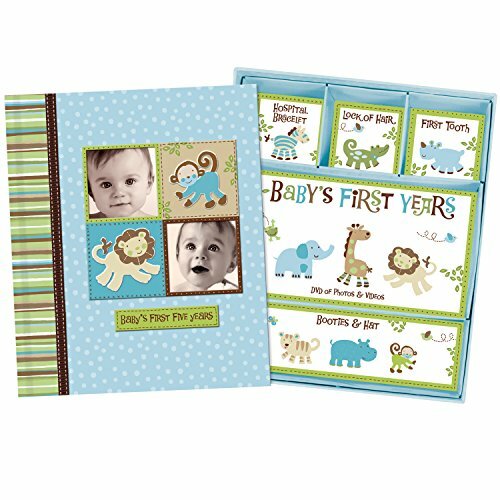 Baby memory books are all designed a little differently. Some will read like a storybook, while others will focus on photos. Here are some things to look out for. You’ll want your baby memory book to last a lifetime and you can do this with acid-free paper (source). It’s the best way to preserve your memories, avoiding damage like color changes. Some people love to journal about their child. But if you want to be reminded about special milestones, look for one with prompts. This can encourage storytelling. A baby memory book isn’t complete without photos. There are books of all different sizes and this may affect the size of the photos you can use. Be sure to check this so you know what size photos to print. Some memory books provide envelopes for collecting keepsakes from special occasions. You can store everything, from their first tooth to a lock of hair. Now it’s time to get into the nitty-gritty of the best books on the market. No need to be overwhelmed, though. Keep the pointers in mind that are listed above and you should be ready to document this oh-so-special adventure. 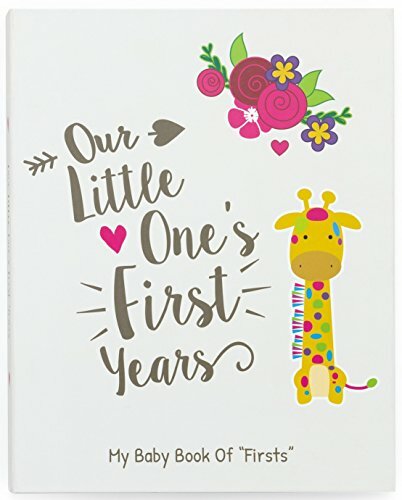 Don’t forget any moment of your magical journey, with this first year’s baby memory book. You can record how you and your partner met, plus the first ultrasounds. There’s even space for a family tree — important information your child will later treasure. Other cool features include a future letter for your kids, an illustrative guide for dates those baby teeth went away, and more. This book includes 12 stickers to mark early milestones. There’s a keepsake envelope for storing any memorable little items. The overall design is colorful, fun, and sure to be an awesome memento. This is a timeless memory book, with hand-drawn illustrations. It includes acid-free paper, so you can avoid damage to your photos over time. What we love is that it’s gender neutral, with its elegant and chic style. It’s easy to write in, with its lay-flat design, and there are pocket section dividers for keepsakes. Some of the sections included are your baby’s first weeks, first year, and development to age 5. This one definitely won’t look tacky displayed on a shelf. This memory book is cheerful and just puts a smile on your face. There are 72 pages that you can fill in. This includes details from the baby shower to all their birthdays, up to 5 years old. You can include over 100 of your favorite photos. You can use a sticker for every month up to the age of 1, to decorate your album. There’s even a keepsake envelope to reminisce with in years to come. This memory book is eco-friendly and uses soy-based inks. Major cutesie over here. 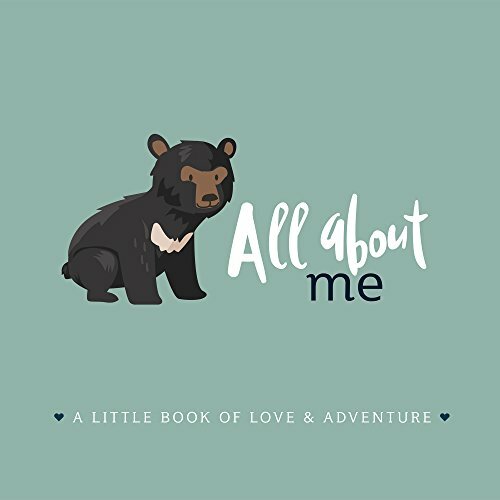 Memories of your little boy will always be precious and this animal-themed memory book collects them all together. There are 62 pages for photos and stories. We love the page titles. There’s everything, from the first time they smiled, to first meals, and more. You can really give your little boy the whole picture when he’s all grown up. The keepsake box is fantastic. This includes space for a lock of hair, the hospital bracelet and more. The book sits on top of the box, just perfect. As soon as you hear the good news, you can start journaling all your special moments with this one. You can detail your child’s first year and all their milestones. Then there are pages for every year up to 5 years old. There’s loads of space to write. It has acid-free paper to preserve your thoughts and feelings. In total, there are 112 pages. It comes with a gift box and a polybag wrapper for safe storage. 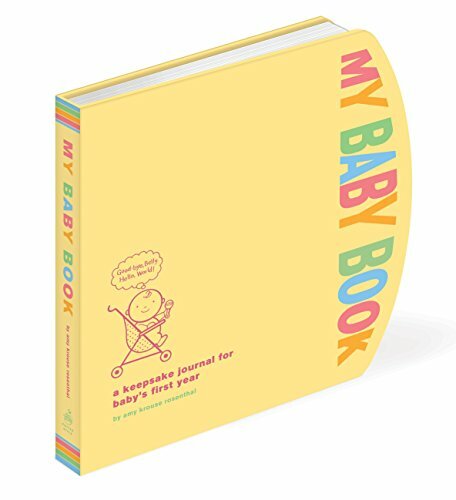 This baby memory book is unique, as it has fun pop-ups and other cool features. 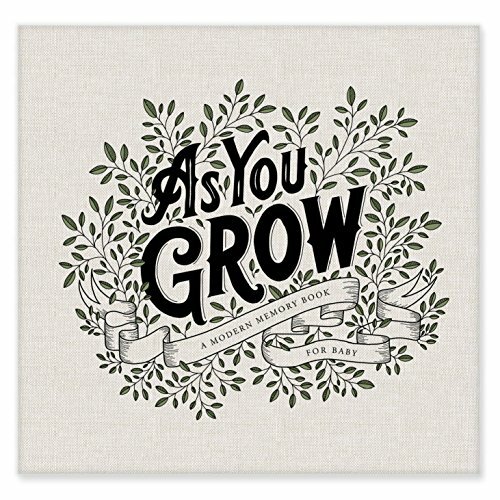 This includes a growth chart you can display. There’s also an astrological-sign spinwheel. 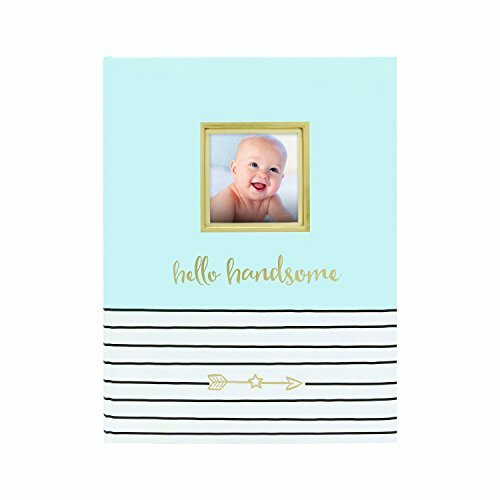 This has a lovely, delicate design and lots of space to personalize with your photos. There’s an envelope for all of your ultrasound scans and to store written notes for your child when they’re an adult. If you prefer a formal and attractive memento for the future, this one’s for you. You can choose from a few different color themes, including gray and teal. It has a classy chevron design, with space for a small photo and their cute footprint on the front. The clean-touch ink pad is provided and it’s easy and safe to use. There are 52 pages to fill in with important milestones, covering ages 1 to 5. You can look back and remember the years as if they were yesterday. So many wonderful things can happen in your baby’s first year. Now you can record them all with wonderful photos. Pages are printed with vegetable ink and the simple design makes everything enjoyable to view. There are 48 pages, including first days of school and other milestones up to 5 years old. The theme is a funky floral design that gives off a sweet, whimsical feeling. There are 56 pages to fill with memories here, including removable holiday pages, such as Diwali, and Easter. Furthermore, the text was created to include a variety of family scenarios. The design is cute, with a woodland theme suitable for a boy or girl. The paper is acid-free to preserve the memories. A fantastic feature is the square photo frames for Instagram snaps. When your little boy grows up, you’ll want to look back on his childhood fondly. 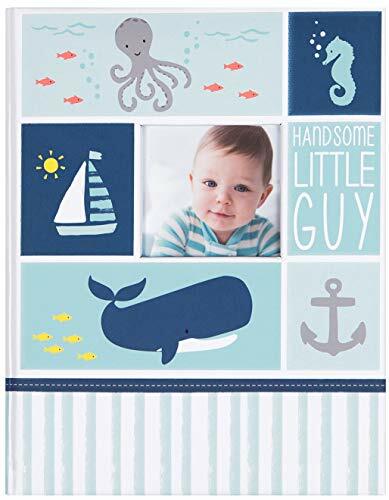 The best way to do that is with this awesome, nautical-style baby memory book. There are 60 pages for photos and to note down your favorite moments. You can track his first 5 years of life. On the front, there’s a photo window, complete with a cute octopus and other sea-inspired imagery. If God plays a big part in your life, this may be the best memory book for you. There are scriptures and space for your favorite bible verses. You can choose your favorite photo for the front. The book expands and the cover is padded, with a magnetic closure. Pink gingham print finishes off the details. 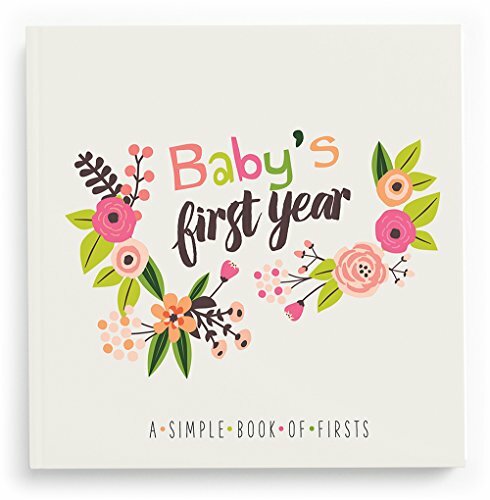 This book is all about your baby’s first year, with 64 pages to fill. You’ll find pockets to keep mementos safe. 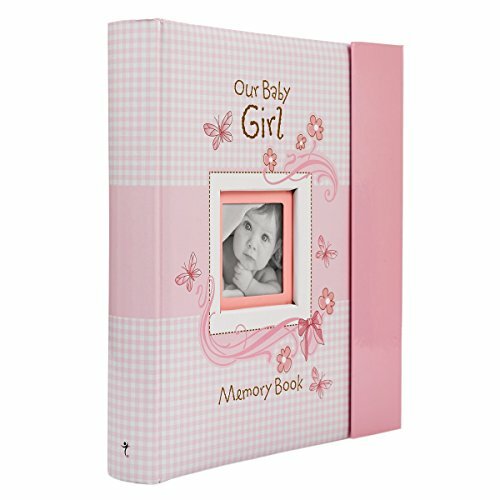 With this cute memory book, you can show off your beautiful daughter. There’s space to insert a square photo on the front, and the pink, white, and black design is simple yet attractive. You can journal about any special milestones in the 50 pages, complete with guides. Capture all the moments that meant the most to you. All the pages are acid-free, preserving the quality of your photos. This gender-neutral memory book has a minimalist style for noting down all the special moments. The humorous prompts get you started and there are check boxes for detailing the first year. You can also insert photos in the spaces. The different sections are visible with brightly-colored side menus. It’s all about capturing memories in a lighthearted and fun way. Family is so important. 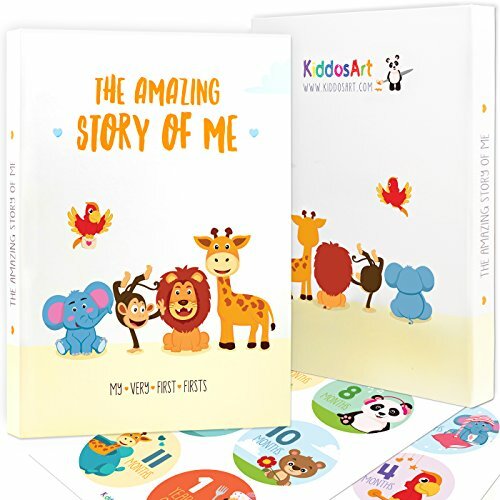 With a good baby memory book, you can cherish the special moments you have with your child, capturing some of the magic of your little angel’s childhood as it happens. Be sure to look out for books with prompts, and lots of photo space. Acid-free paper is a must for preserving your memories. Our favorite is the Ronica First Years Baby Book. Babies are so cute during their first 12 months. You can document special milestones that make your heart melt. 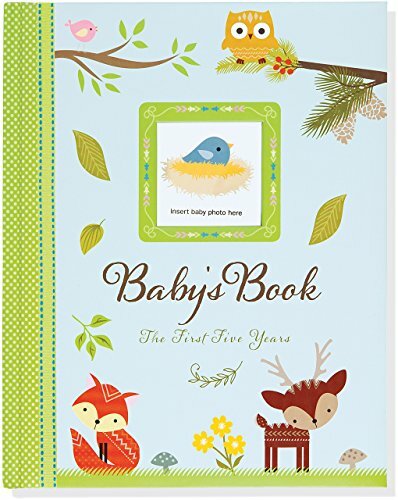 Do you have a favorite baby memory book? Let us know in the comments below. You can also ask questions and we’ll do our best to answer them.